Kara Tippetts battled cancer for two and a half years. During that time, many friends came around the Tippetts family to support and serve them. Kara is now home in Heaven, but before passing from this life to the next, she and her friend, Jill Lynn Buteyn, wrote a book about walking with a friend through suffering. Kara and Jill loved and served each other well, and their friendship is an example to follow. Their book, Just Show Up, will be a helpful resource to others who are going through a season of suffering with a friend. It can be difficult to know how to be there for a friend who is suffering. 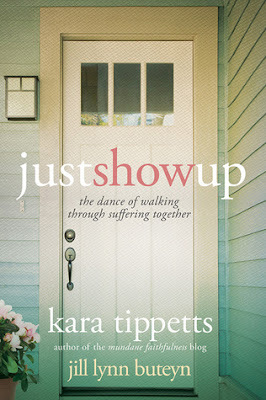 In Just Show Up, Kara and Jill share practical ideas of ways to be there for, and serve, a family in need. They allow the reader a peek into the community that surrounded the Tippetts family during the past three years. They are open about the hard parts and the awkward parts. 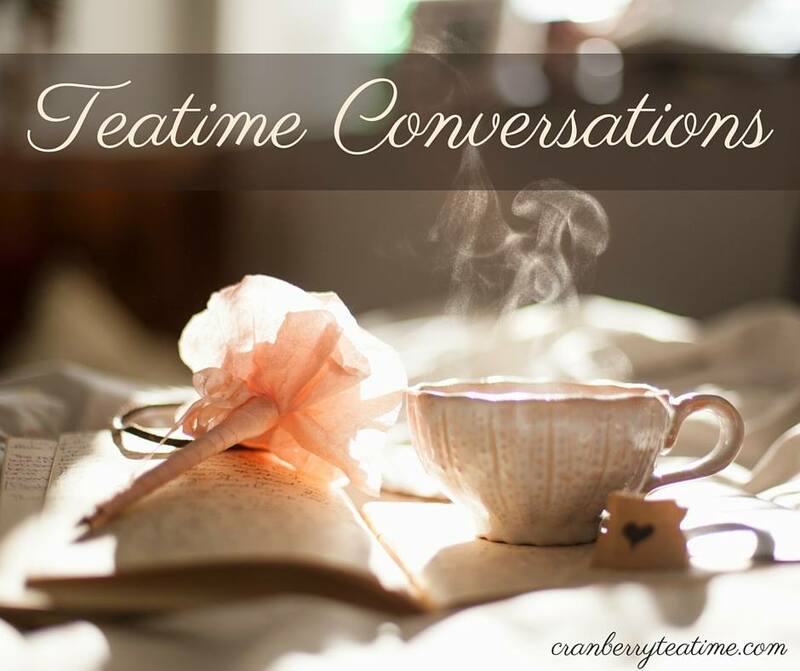 They share about the tension, the struggles, the insecurities, and the highs and lows. They share honestly about the fact that mistakes were made and that grace was needed. Just Show Up has a conversational tone, making you feel like you are right there chatting with Kara and Jill as they share about facing hard times of suffering together. They speak to the one who is walking through suffering with a friend as well as to the one who is suffering herself. I especially appreciated the personal stories that were shared from the community of support that surrounded the Tippetts family. It was a beautiful thing to see how the body of Christ can come alongside a suffering member and love them well in their hard season. Just Show Up is for the one with a friend who is suffering and in need of help and support. It is for the one who wants to be there for a friend in need, but doesn’t know what to do. It is for the one who is chronically ill and is needing guidance regarding her role in friendship when her abilities are limited. This would be a great book for two friends, one who is ill and one who is healthy, to read together as they navigate the awkwardness that comes when friendship is lopsided because one friend simply can’t give much. It would also be a great book for a group of friends to read together as they prepare to show up for a friend in need. I highly recommend this book! I received an advance copy of Just Show Up from David C. Cook via NetGalley. The book will be available in bookstores on October 1, 2015. What a wonderful idea. Hello I am Lennie and I have COPD an invisible and scary illness.